Rising employee turnover is a problem in many companies. Often candidates are recruited with wishes that the company can't fulfill long term. The candidate is then quickly disappointed and wants to leave the company. This can result in high costs for the company, in the form of vacancy and re-recruitment costs. In order to solve the problem permanently and to find and retain suitable candidates within the company, it is necessary to define a candidate not only on the basis of their professional qualifications, but also on the basis of their personality and wishes. This definition is called the "candidate persona". The changing nature of the job search process is important to steer future marketing and branding efforts. In this way, the candidates that will be addressed are also in a personal sense best suited for the job and thus remain long-term in the company and achieve good results. 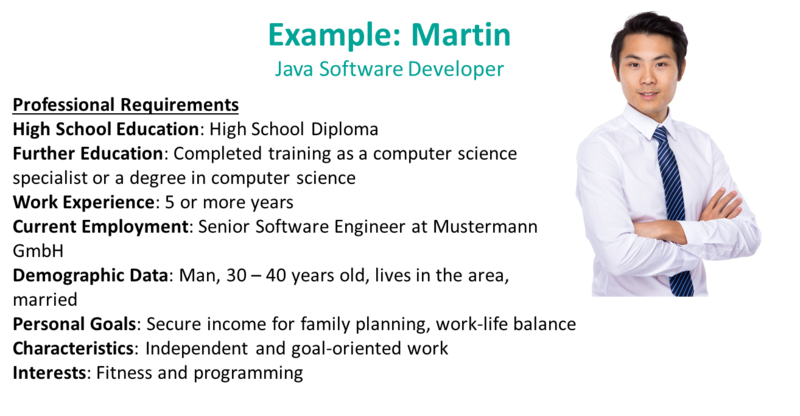 What exactly are candidate personas? 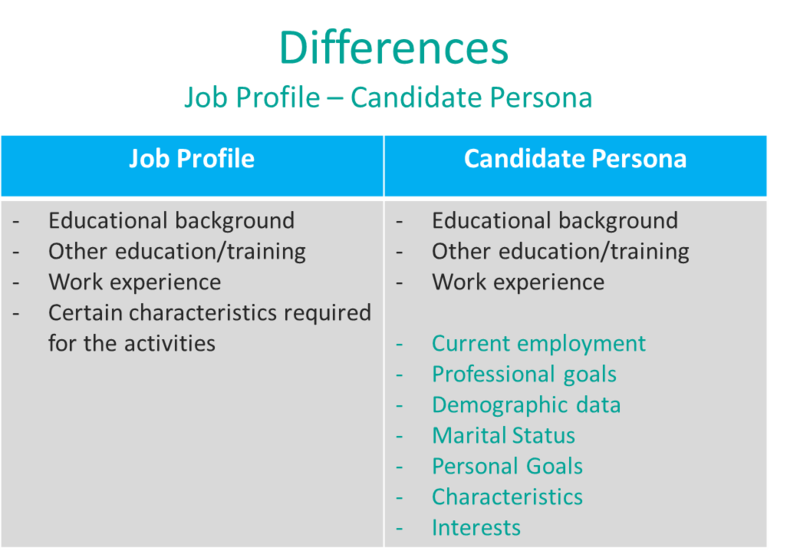 Candidate personas are ideal candidate profiles for a particular job. It is a fictional, yet realistic description of the optimal candidate. The candidate persona should be as accurate as possible, so that the needs of the candidates can be exactly reproduced and concrete recommendations for the marketing and branding strategy can be determined. With a job profile, the professional suitability stands in the foreground. With a candidate persona, different areas of competence of potential candidates are dealt with. Why define a candidate persona? Job profiles are based exclusively on professional qualifications; candidate personas also take personal qualifications into account. In times of skill shortage (employment rate), this expansion is important. Employees today are not only looking for a job, but also for additional job opportunities (e.g. childcare, sports, etc.) and can choose the job that suits them best. How do you define candidate personas? First, make a profile of the most important qualities your ideal candidate should have. Our experience shows that a survey of newly hired candidates can help you to create the profile. If a candidate is interviewed on the first day, they can provide an understanding of why they applied. If a candidate is interviewed after 6 months, they can explain why they stayed. The questionnaire after 18 months provides an understanding of why the candidate remained happy in the long term. Which demographic data are relevant? What education and experience does the candidate have? What kind of job does the candidate have? Are they ready to change? What offer would motivate the candidate to switch? What professional / personal goals does the person have? What can you offer them? What not? What benefis of your company would appeal to the candidate? Once this information has been compiled, a targeted approach can be utilized in the next step.